A species that I wouldn't have looked twice at whilst growing up in the UK (I know they are not as common these days).............the Common Starling is however a scarce visitor to Japan and this individual was with a group of the common resident Grey Starlings. It would have been nicer if it had been in full glossy summer colours but I can't complain, in fact I've never been happier to see one. It was a bit shy, can't be one of the group that visits my parents' garden in England then. And here's another bird that is common in the UK but local/scarce here. A crappy picture, why are crows so hard for me to photograph? Always out of focus. A Rook.............one of many today. 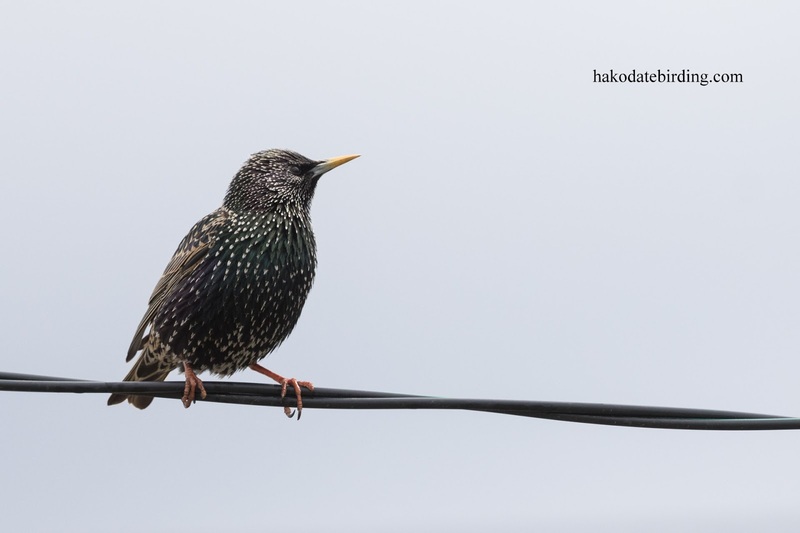 This is a winter visitor to Japan and appears to be increasing. There was a large flock of them near Kikonai. 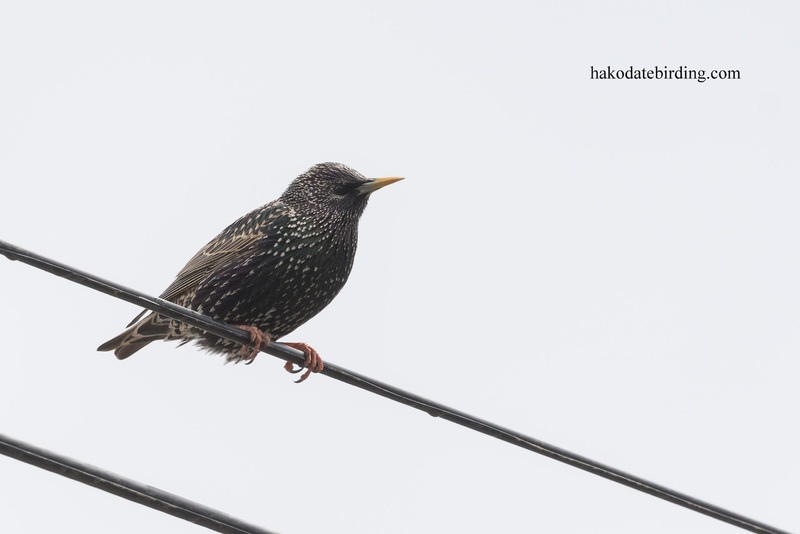 I can't remember Rooks being so wary in the UK, these flew off as soon as the car stopped before even the window was open. Congratulations on th e starling. 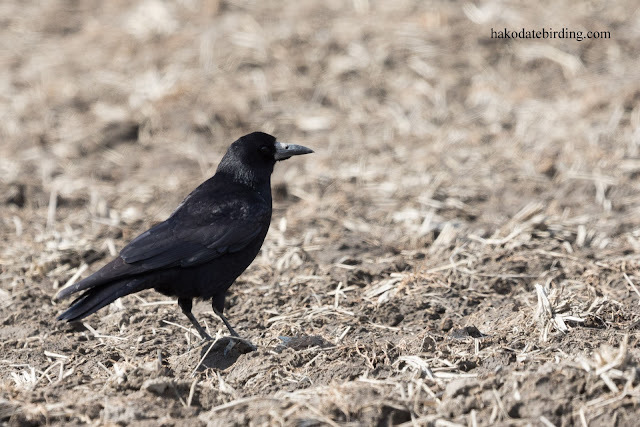 I seem to remember Rooks as being wary - a long history of persecution by farmers I suppose. Euro Starling is rare here, too, and always in dull non-breeding winter plumage. The camera focus doesn't like black at all, does it?